SecurePIN, 130, USB, 3 TRACK MSR. 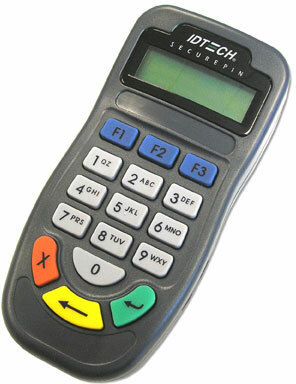 Requires key injection in order to accept debit or credit card payments. Please call for more information. SecurePIN, 100 (Pin Pad with Display, USB and Cable) - Color: Gray. Requires key injection in order to accept debit or credit card payments. Please call for more information.